The narrator, a space-station supervisor, receives a call that there is a small object in the same orbital projectory and that someone needs to go retrieve it. Since the station is already behind deadline, he decided to go himself (he's also feeling a bit of cabin fever). On his way to put on his space suit, he passes the the station's cat. Once into his suit, he heads out into space and talks about the strange elements of the suit with its strange usuage of space inside the suit. As he leaves the station, he begins to hear noises that are not part of the typical sounds of the suit. He slowly begins to panic and wonder if this is the same suit that was recycled when a colleague died in it; he wonders if the suit is haunted. He calls the station for help, believing something is wrong with the suit as there is noises and rustling that he can't account for. Just after calling for help, he feels something at the scruff of his neck and so jolted by it, slams his head into a hard surface in his suit and passes out. When he awakes in the medical center on the space station, he discovers that their perceived tomcat was a female who had a litter in his locker where he keeps his space suit. 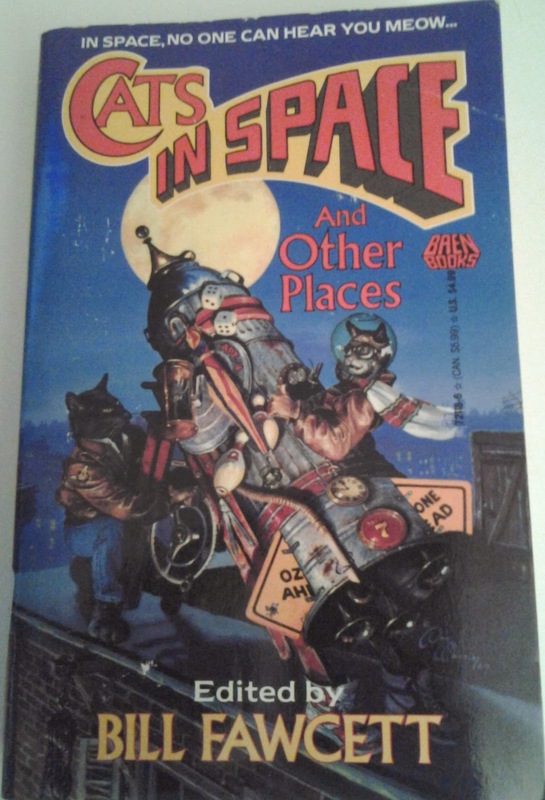 It's a cute story and because it's in the anthology of Cats in Space, you end up knowing that it is a cat, which detracts from the tension within the story. However, Clarke does a great job of building said tension and getting the reader to wonder who is there. When I first saw the title and saw that it was Clarke, I wondered if it was going to be somehow connected to or in reference to Who Goes There by John Campbell (one of my favorite novella and the basis for a favorite film of my John Carpenter's The Thing). But I enjoyed it all the same, particular when Clarke tries to throw off the reader with thoughts of ghosts rather than a typical malfunction.